It is undeniable that the lighting technology has drastically improved over the past years. There is now a variety of warning signal devices for most applications. And all of these are because of the rapid advancement of technology. In fact, technology has found lots of ways to better gratify industrial and economic preferences. Furthermore, modern technology has also developed new devices, which are more power efficient than that of the traditional incandescent bulbs. Two of which are the LED (Light Emitting Diode) and the Xenon Strobe. Moreover, in the 1990’s strobe lighting technology took the public eye and replaced most incandescent lamps. For many years, the xenon strobe was really the only choice available. At least until LED technology immerged. These days, LED (light emitting diode) products are becoming very popular. This is due to the lower power consumption as well as being low in maintenance. Actually, it is now becoming the first choice in various fields, such as in the production of status signals. LED technology has undeniably seemed to take the lead in the global industry and may soon replace strobe lighting entirely, just as incandescent lamps were replaced previously. But the main question here is that which is better of the two: Xenon Strobe or the LED. The xenon strobe is actually a device that is used in producing regular flashes of light. It is just one of the many devices that can be used as a stroboscope. The typical commercial xenon strobe actually has a flash energy in the range of 10-150 joules. Furthermore, it may also have a discharge time of as short as a few milliseconds. This is what often results in a flash power of a number of kilowatts. The larger strobes are the ones that are used in the so-called continuous mode, which produces an extremely intense lighting. 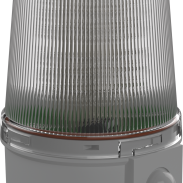 The common light source of the xenon strobe is usually a xenon flash lamp that has a colour temperature and a complex spectrum or about 5600 kelvins. To be able to obtain coloured light, coloured gels may be used. The light emitting diode or LED is actually a two-lead semiconductor source of light. It actually emits light when a p-n junction diode in it is activated. Furthermore, when a suitable current is applied to its leads, the electrons are then able to combine again to that of with the electron holes in the device. Thus, discharging energy in photons form. This particular effect is known as the electroluminescence. The colour of the light is actually identified by the energy band gap of its semiconductor. LEDs are usually small and are integrated optical components, which may be used in shaping the radiation pattern. Also, LEDs have so many advantages over the incandescent source of light, including faster switching, smaller size, low energy consumption, etc. 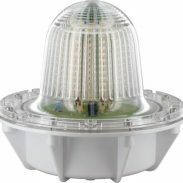 Furthermore, they are also used in diverse applications, such as in traffic signals, general lighting, aviation lighting, etc. Which is Better: Xenon Strobe or LED? – Safety and Convenience: LEDs are way more convenient and safer to use because they operate at low voltage. On the other hand, the xenon flashtubes need a higher voltage to be able to ionize the gas, and must be handled with caution. – Controllability: Due to the fact that LEDs are semiconductor devices, their light output and flash patterns may be controlled or programmed as desired. They also give smooth and seamless dimming. – Instant lighting: LEDs may reach the maximum brightness output in an instant when powered. Unlike xenon strobes, which have a slight delay. – Durability: LEDs use semi-conductor materials rather than electrical filaments to generate visible light. This just means that LEDs are way durable than the xenon and incandescent flashtubes. – Less maintenance and longer life: There are about 50,000 hours of life expectancy in LEDs, which is higher in comparison to the xenon strobe that only has 10,000 hours of constant operation. – Energy efficient: LEDs use 75% lesser electricity than the incandescent lamp and about 60% than the xenon strobe. Even though LEDs are more expensive than the xenon strobe, they are much cheaper in the long run due to low consumption of electricity. Based on the aforementioned advantages of LEDs, it appears that they are much more advanced than the Xenon Strobe. Furthermore, they continue to advance every single day.